What Materials Are Used in 3D Lobby Signs? 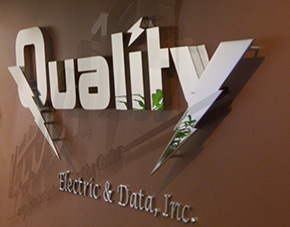 Choosing 3D lobby signs for Chicago reception areas is a trend that has picked up considerably over the last few years. The appearance of the dimensional letters is noticeable, attractive and supports your branding efforts even within your business’ venues. How are 3D lobby signs made in Chicago? Your questions – answered. There used to be a time when metal signage was entirely crafted from the costly materials. Not surprisingly, its usage was limited to well-to-do law firms, accountancy companies and similar businesses in the finance sector that had plenty of cash to spare for their lobby markers. The use of metal laminate greatly reduces the cost of the signs. We usually attach a .025-inch thin piece of metal laminate to PVC, which has been painted to mimic the metal’s color and sheen. These types of signs still elicit the awe that comes from the use of metal but without the huge price tag. A common material that businesses request is brushed aluminum. Other options include satin or polished metal laminate strips. 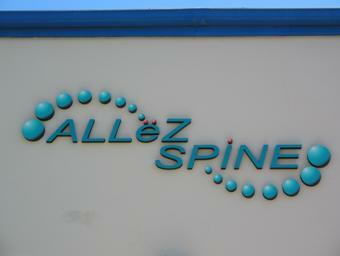 Law firms and accountants continue to be among those businesses that most commonly ask for these types of lobby signs. Doctors’ offices, sports organizations and IT companies are close behind. The thickness of the substrate determines the 3D effect. When the budget is a bit tight, you cannot go wrong with foam. This is also the perfect material for the business that wants to take 3D to the max. Since the color combinations for these kinds of signs are virtually endless, they are good in-office branding solutions for companies that want to showcase their artistic sides, for those that like to communicate a whimsical take on things and for the businesses that provide colorful consumer goods to a clientele. For the business that likes the savings, we have the option of adding acrylic laminates to give the foam a chic appearance with a high gloss. Since this material is so inexpensive, many companies choose the foam lettering for the reception area and then commission and similar (but frequently smaller) marker for the conference room or another area in the office or business where branding takes place. and there are not even minute errors or imbalances. Companies that usually like to commission 3D lobby signs made from acrylic include those involved in artistic ventures, schools and volunteer organizations as well as charities. The look is contemporary and attractive. With a depth between 1/8 of an inch to half an inch, you get a standard dimensional effect that easily integrates into your reception area’s setup. Acrylic letters come in 30 base colors although it is possible to use custom-blended hues to accommodate your logo color usage. Depending on the size and weight of the finished letters, we either install them directly to the wall with silicone or use back mounts that hold heavier products. Title: What Materials Are Used in 3D Lobby Signs?